Junges Hotel Salzburg-Aigen is open all year round. The reception is open daily from 7.00 to 10.00 and from 17.00 to 23.00, in July and August to 24.00. The Junge Hotel Salzburg-Aigen is located near the Salzburg Volksgarten and the world-famous Salzburg old town. If you arrive by car, you can park directly at our hostel free of charge..
We can be reached easily by public transport. Should you arrive by train, take trolley bus line 1 from the train station to the stop “Hanuschplatz”. From there, take line 7 to the stop “Rennbahnstraße”. The bus stop „Rennbahnstraße“ is just a few meters away of our hostel. 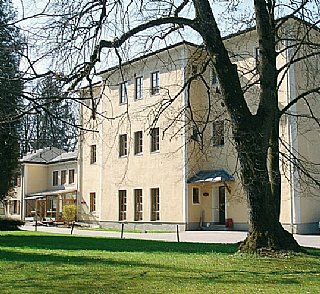 The Junges Hotel Salzburg-Aigen is approx. 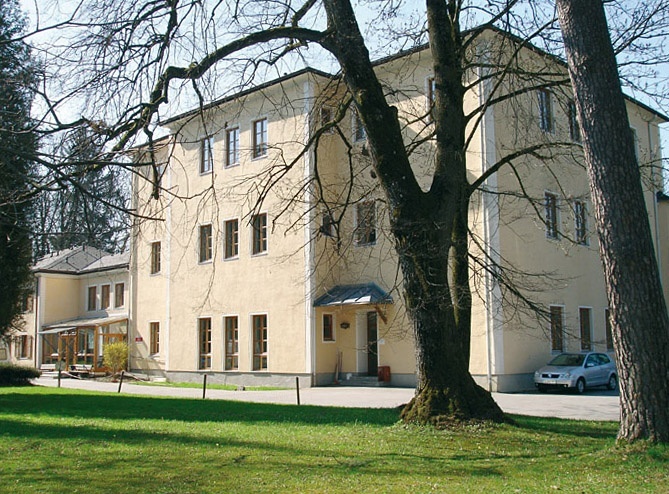 13 kilometres from Salzburg Airport via the motorway. You can also reach the youth hostel from the airport by taking a trolley bus: take trolley bus line 10 to the stop “Mozartsteg/Rudolskai”, then switch to line 7 and ride to stop “Rennbahnstraße”. There is no taxi rank in the vicinity of the youth hostel. Our reception team will gladly call a taxi that will pick you up directly at our youth hostel.